I came across a fun recipe for bite sized appetizers the other day on a yummy food blog called What Megan’s Cooking. 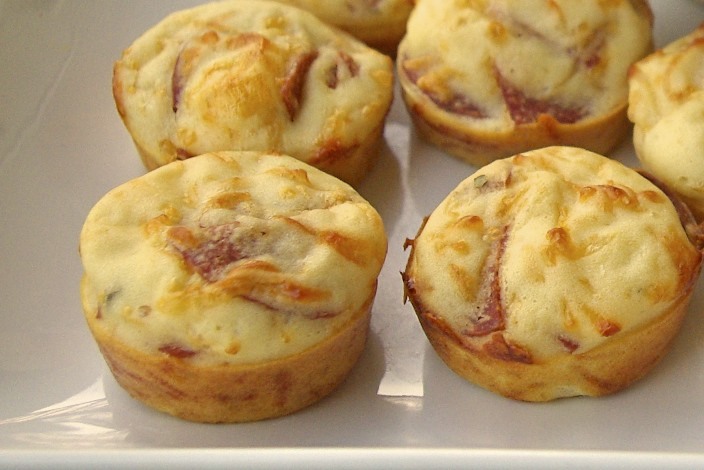 They are adorable little pizza puffs, packed with delicious pepperoni pizza flavor. What’s more, they are easily pop-able and kid friendly too, rendering them perfect for an easy lunch, afternoon snack, or even a light dinner. In fact, I made an entire batch the other night, served it along side a green salad, and Ryan and I ate it as our entree. It was delish! Do you ever eat appetizers for dinner? What are some of your favorite appetizers to eat? Let me know below! *Not too keen on appetizers for dinner? Why not invite some people over for the Olympic Opener? These hand held pizza bites are guaranteed to be a winner! *Don’t like pepperoni? Try dicing up some olives, peppers and mushrooms and using them in place of the meat. Voila, you have a garden veggie pizza puffs instead! *Make and Freeze – Prepare the puffs, freeze on a baking sheet and transfer to a food storage bag. When you want to eat them, bake the frozen puffs on a baking sheet at 350 degrees for 8-10 minutes. *You can easily substitute 1 cup of whatever cheese you have on hand. Lightly spray 20-24 mini muffin cups. In a large bowl, whisk together the flour, garlic powder, baking powder and salt. Stir in the milk and egg. Add cheeses and pepperoni and mix together until fully incorporated. Let stand for 10 minutes. Stir the batter once or twice and divide among the mini-muffin cups. Bake until puffed and golden brown – 20 to 25 minutes. Meanwhile, microwave the pizza sauce until warmed through. 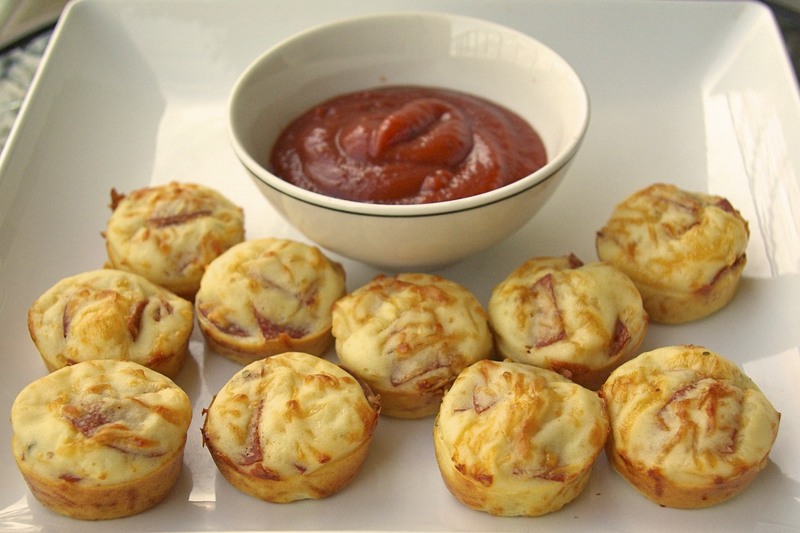 Serve the pizza puffs with the pizza sauce for dipping. Little things like this are very common in France as mise-en-bouche, which comes before the amuse bouche. Which comes before the appetizer. Anyway, I'm a big fan of appetizers for dinner. Especially with a little salad on the side. It's an easy way to clean out the fridge of random appetizers from previous meals. Wow, mise-en-bouche, amuse buche, appetizer, that's all before the main meal! How long do dinners take in France :-)?